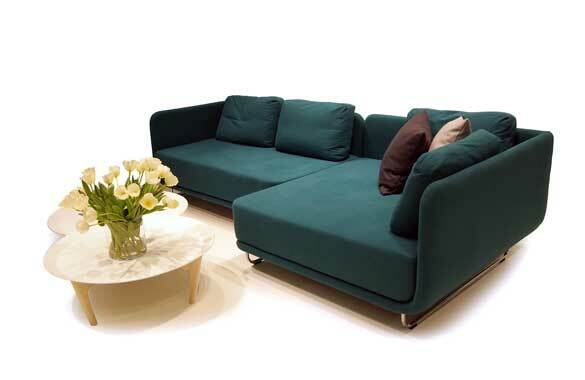 SOFTLINE WILL LAUNCH A NEW UPHOLSTERY SERIES CALLED SETUP DURING THE IMM COLOGNE. SETUP IS A SOFA-SYSTEM WITH ROUND ORGANIC SHAPES THAT CAN BE ARRANGED IN VARIOUS CONFIGURATIONS, SO USERS CAN BUILD THE SETUP THEY PREFER FOR THEIR LIVING SPACE. THE SYTEM WILL BE ACCOMPANIED BY TRAY A NEW SIDE-TABLE WITH A TABLETOP THAT FUNCTIONS AS A TRAY FOR EVERYDAY OBJECTS.